The beauty ideal: It's in the name - Master Sculpt. It's in the name - Master Sculpt. I know what you're thinking, another contour product? Well, I had the same thoughts about this when I got wind of it's release but I also thought what the hell? and picked it up anyway. Honestly, I'm really glad I did. 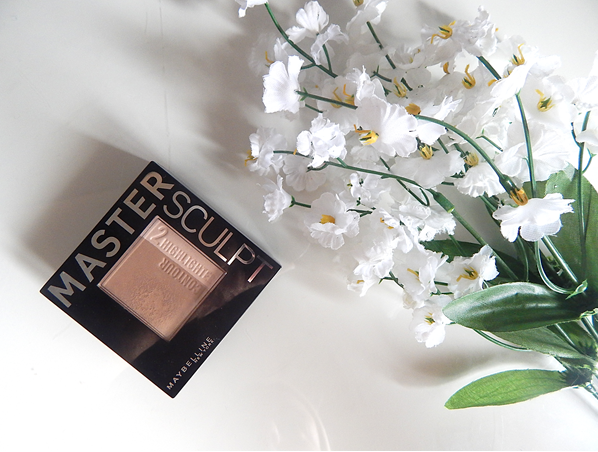 Maybelline's Master Sculpt (£6.99) has become a new favourite in my contour/highlight collection - I'm still surprised that a drugstore brand has managed to get it so right. I got it in the shade 01 Light/Medium, and the contour shade is very similar to NYX's Taupe - the perfect contour colour for pale skin. The product itself isn't extremely pigmented, but I've actually found that to be an advantage as it's easy to build but hard to put on too much. I've been loving it these past few days and it's become my new fave from the drugstore. The highlight shade gives a subtle lit-from-within glow that looks lovely swept across the cheekbones. Congrats Maybelline, you've managed where most other drugstore brands couldn't. I'm impressed. I absolutely love this little kit so far, I have the darker shade and the contour colour is such a perfect shade, love it! The little brush in the kit isn't too bad either. This sounds good!! I'l look out for it! Thanks for sharing! This sounds great! I wasn't sure whether to buy this or the Seventeen contour kit and I went for Seventeen, but I feel like I need to try this too! I'm really pale and luckily I bought the darker shade as the I think the lighter one would have been too orangey on me. I love the little brush but I'm not a big fan of the highlighter. I don't know if it's just me but it just kind of blends in with my skin?